Arcanum Syndicate is soon to open the Demon Gate and we hope you will help in making this happen. Be on the lookout for news and updates which will be posted here and http://www.arcanumsyndicate.com There will also be VTT (Virtual Tabletop) games being played with the creators and play testers of Demon Gate for those who would like to sign up, join up at the website or contact AzgrymnThePale... here. Monarch of the Monsters 5: Crowned! The votes are in, and we can now announce a winner. Congratulations go to Jeremy Hochhalter, who crafted the Xanka for us! Thanks go to our contestants, our judges, and all those who took the time to stop in and vote for some fun fifth edition D&D monsters. Find this and other great articles at koboldquarterly.com. You may not know it, but Robert Schwalb is a quiet giant in the pen & paper gaming industry. He has designed content for more gaming companies than you may realize, and was one of the early architects of the D&D's latest edition. He is currently running a Kickstarter for a new game he designed called Shadow of the Demon Lord. I have personally played this game, read a decent amount of its content, and wholeheartedly believe it is a road-map for quick, efficient rules for rapid provisioning of tabletop gaming content. Check it out, and please consider supporting it. I don't think you'll be disappointed. Some of the magic of the Grand Duchy is Deep Magic, fey-inspired and unique to the forested lands protected by the Beloved Imperatrix Regia Moonthorn Kalthania-Reln van Dornig. But clever travelers and adventurers have learned to exploit such ancient arcana and incorporate it into useful wondrous items. Here are a few of those items, crafted using spells from Deep Magic. 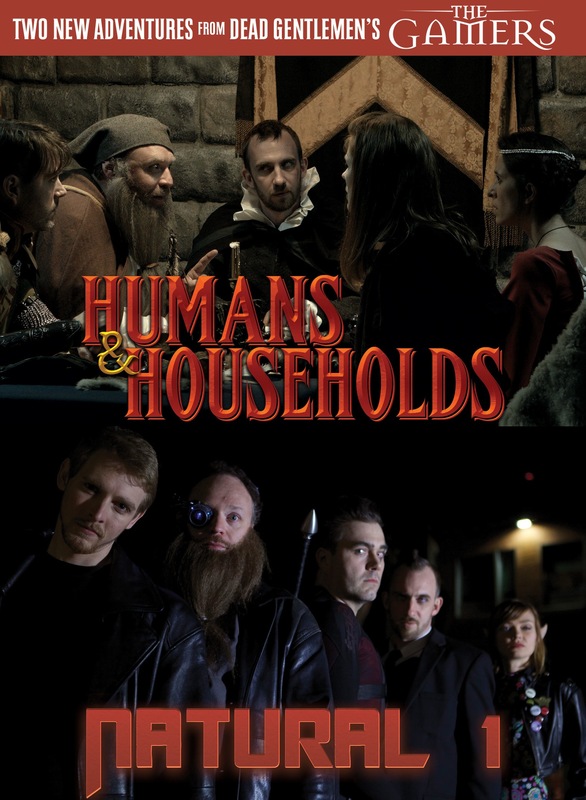 Humans & Households: A group of the kingdom’s bravest adventurers attempt to relax on their day off with a game of Humans & Households, where they face the terrors of suburban life, a roving pack of automobiles, intruder alarm systems, and a dire household guardian. From the mind of writer-director Matt Vancil comes a comedy about roleplaying gaming ten years in the making! PPGCon! Join our inaugural virtual online gaming conventions! August 16th - PPGCon Mini Event!